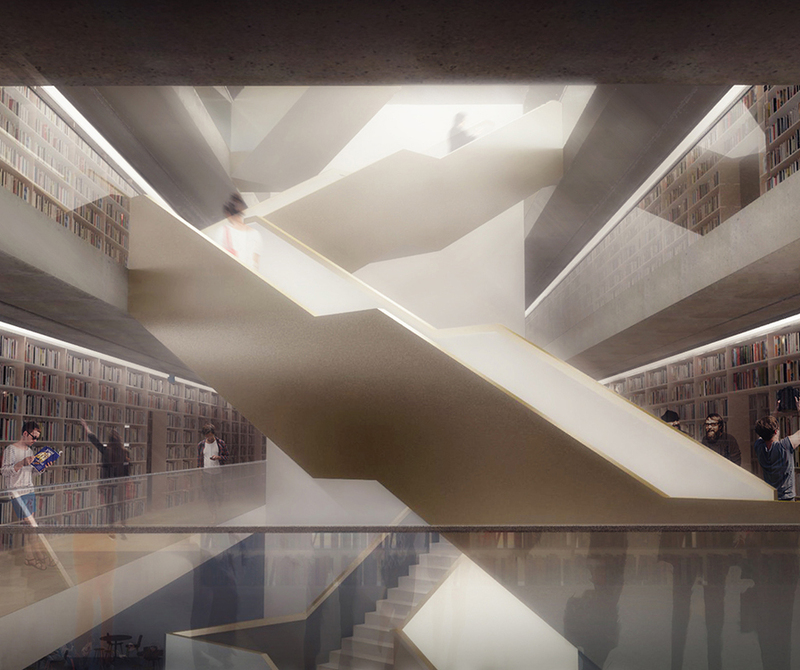 These are the proposals for an open competition for the Library of Varna in Bulgaria. The scheme responds to the city’s long-standing problem of being without a proper building for its historic library. The Library of Varna is a 130 year old institution, but presently its collection of over 860,000 items is spread across different buildings throughout the city. 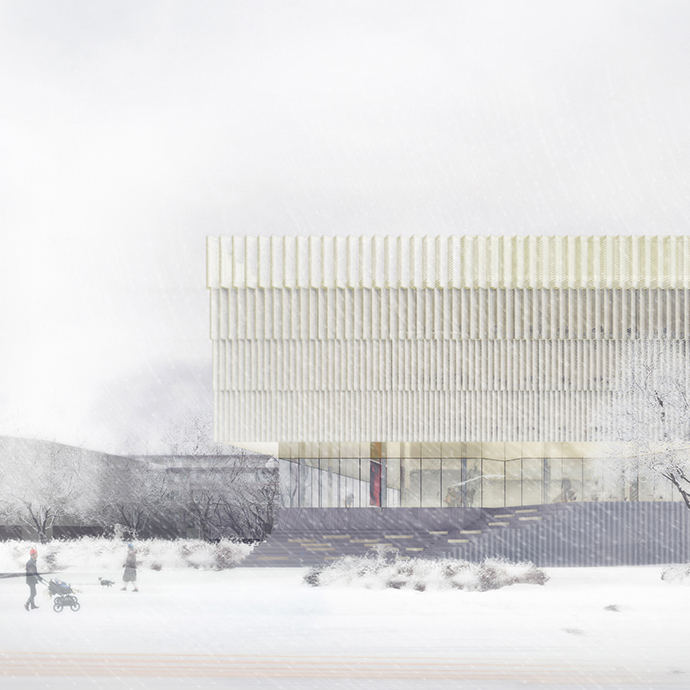 Our designs for the new building aim to collect the library under one roof, to ensure its comfortable and smooth working process and at the same time to create a new and active public space in the centre of Varna. 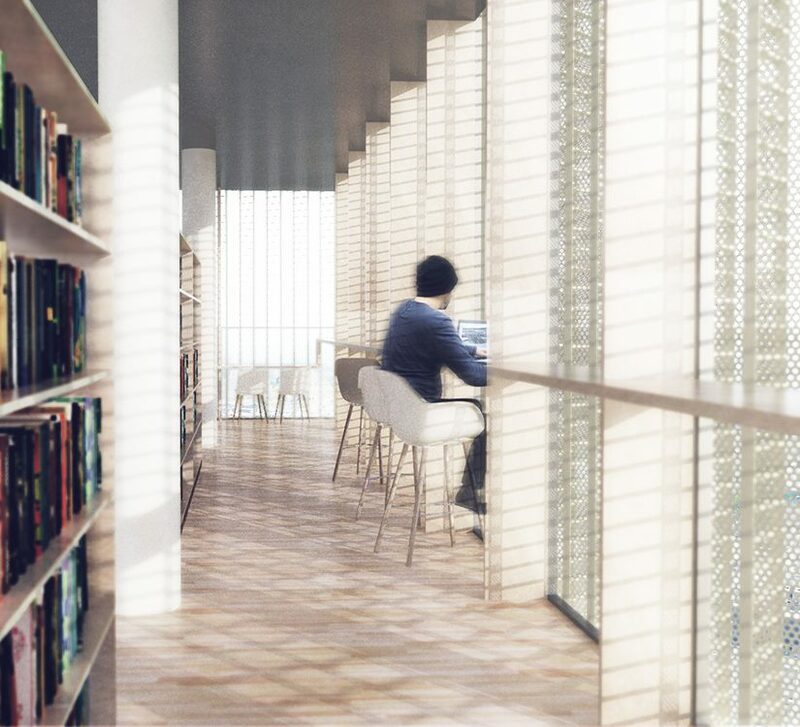 Outside the edge of the old city wall, on top of a newly created plateau sits, the new Varna Library. An archive of nearly half a million volumes forms the landscape and plateau from which the new library commands its position. On top of the plinth the library is wrapped in continuous bands of gold bronze, each wrap larger and wider than the previous layer. At night the gold bronze glow of the new Varna Library quietly announces its position as a major landmark and facility for the whole population of the city. While the central atrium provides circulation, four secondary light wells cut deep into the building. The light wells provide identity for four key departments: adult library, children library, youth library and arts & specialist library. 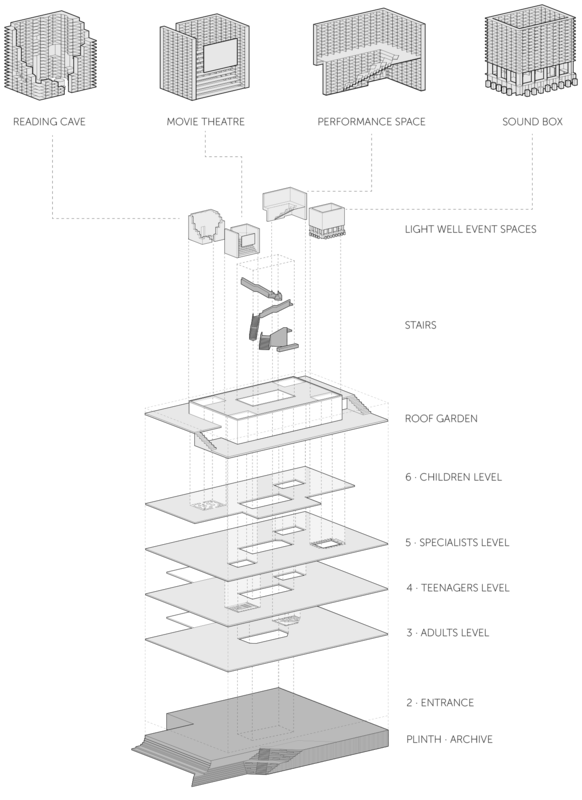 The secondary light wells also provide ‘local shortcuts’ between floors. 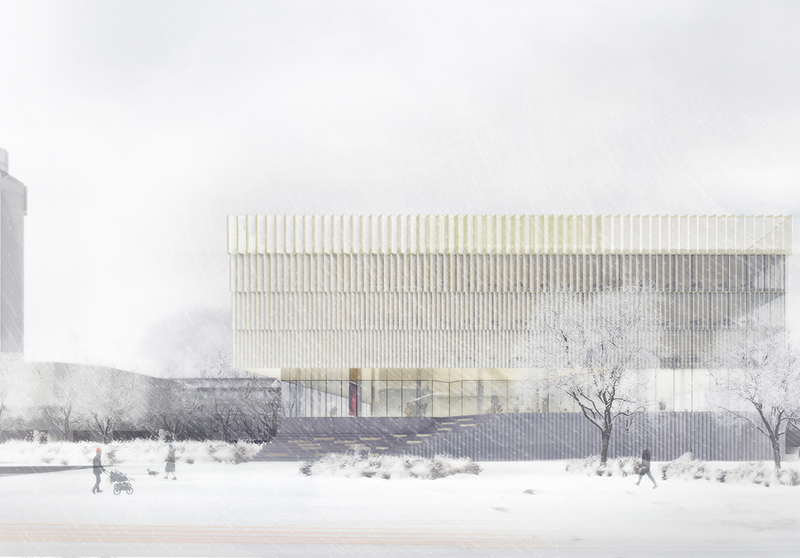 Placing of the public entrance over the archive is both symbolic, environmentally sound and enables the primary functions of the library to be brought closer to the to the user.  The use of the ground as a heat sink stabilises the temperature of the archive. The deep plan with solar shading maintains a comfortable environment without losing transparency. 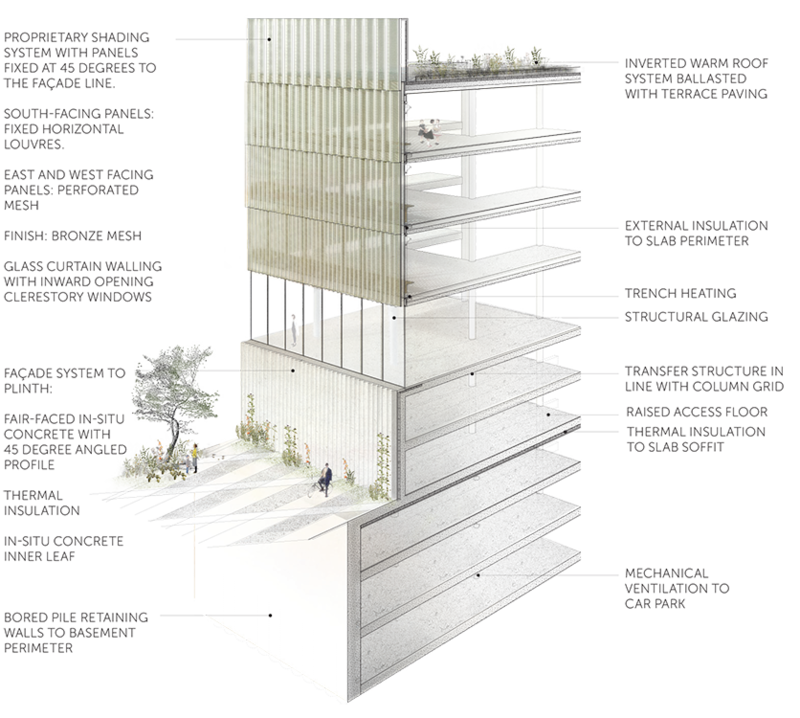 The new roof garden adds a further space to the city.The building ‘plinth’ becomes part of the city landscape and blurs the threshold into the library. 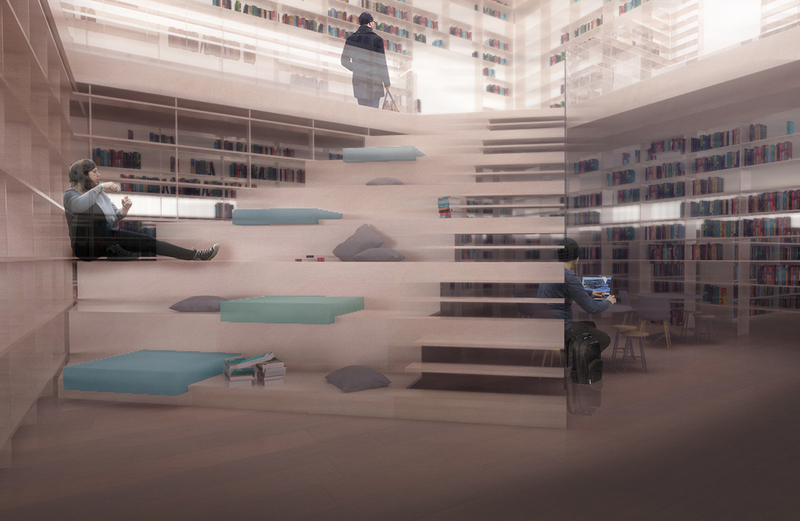 Provision of additional public space at the roof of the building embeds the library into the civic space in the city. A simple, repeated cladding module offers environmental benefits and economy of repetition. The changing scale of the modules appear to stack one on top of the other like the books within. The pleated facade is angled in relation to the sun to optimise its solar shading performance. 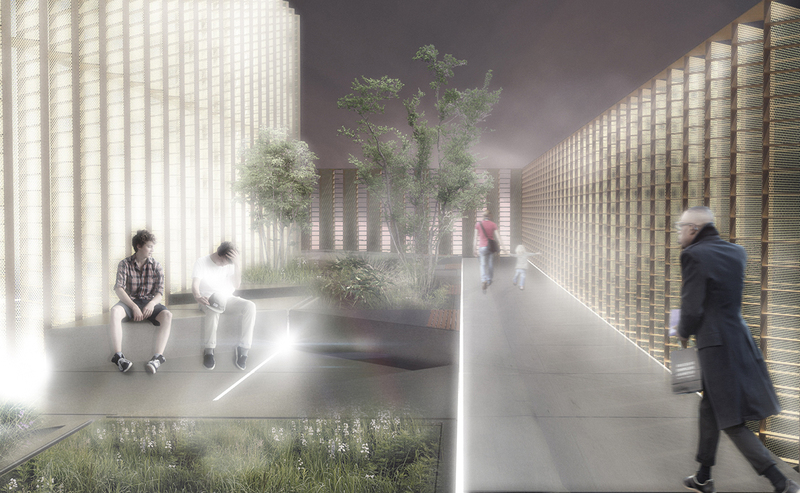 Light filters through the perforated outer skin and into the central voids. Internally the spaces provide a calm, comfortable and familiar environment. The city landscape extends to the rooftop with a new public roof garden offering panoramic views across the city. From a distance, the stacking of layers, subtle widening of the floors and crenelated form of the wrap offer authority and protection, evoking memories of a castle or citadel.